In this tutorial you will will learn how to pip install OpenCV on Ubuntu, macOS, and the Raspberry Pi. In previous OpenCV install tutorials I have recommended compiling from source; however, in the past year it has become possible to install OpenCV via pip, Python’s very own package manager. While installing from source will give you the greatest control over your OpenCV configuration, it’s also the hardest and the most time consuming. If you’re looking for the fastest possible way to install OpenCV on your system, you want to use pip to install OpenCV (but there are a few things that may trip you up along the way, so make sure you read the rest of this guide). To learn how to pip install OpenCV on your system, just keep reading. In the remainder of this tutorial I’ll briefly describe the OpenCV packages you can install via pip, Python’s package manager. From there, I’ll demonstrate how to pip install OpenCV on Ubuntu, macOS, and the Raspberry Pi. Finally, I’ll review some common problems you may encounter when using pip to install OpenCV. I’d like to point out an important caveat to this OpenCV installation method before we begin. The PyPi/PiWheels hosted versions of OpenCV that we’re discussing today do not include “non-free” algorithms such as SIFT, SURF, and other patented algorithms. 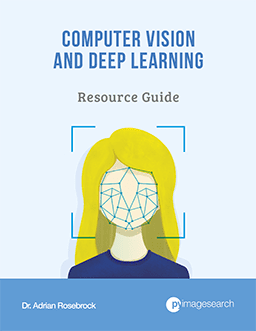 This is a great method to install OpenCV if you need a quick environment in which you won’t need to run programs containing the non-free algorithms — if that’s not the case, you’ll need to complete a full compile of OpenCV. Before we get started I want to remind you that the methods I’m coming here today are unofficial pre-built OpenCV packages that can be installed via pip — they are not official OpenCV packages released by OpenCV.org. Just because they are not official packages doesn’t mean you should feel uncomfortable using them, but it’s important for you to understand that they are not endorsed and supported directly by the official OpenCV.org team. 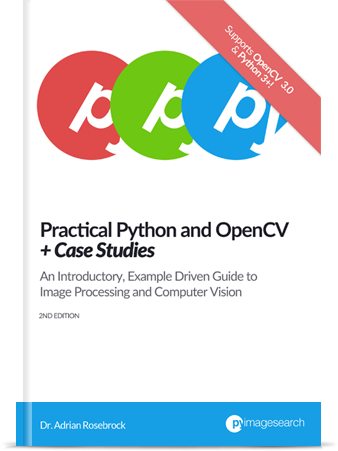 opencv-python: This repository contains just the main modules of the OpenCV library. If you’re a PyImageSearch reader you do not want to install this package. opencv-contrib-python: The opencv-contrib-python repository contains both the main modules along with the contrib modules — this is the library I recommend you install as it includes all OpenCV functionality. opencv-python-headless: Same as opencv-python but no GUI functionality. Useful for headless systems. opencv-contrib-python-headless: Same as opencv-contrib-python but no GUI functionality. Useful for headless systems. Again, in the vast majority of situations you will want to install opencv-contrib-python on your system. 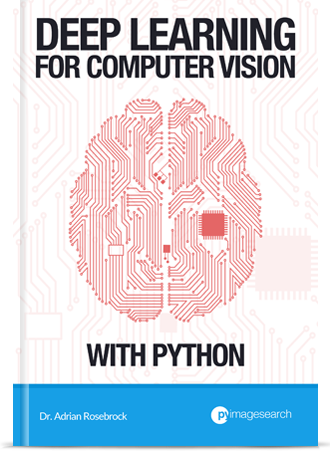 You DO NOT want to install both opencv-python and opencv-contrib-python — pick ONE of them. I wouldn’t recommend this method unless you have a particular use case where you don’t want isolated, independent Python environments. In a matter of seconds, OpenCV is ready to go in your system’s site-packages! There are huge benefits to Python virtual environments. The main benefit is that you can develop multiple projects on your system with isolated packages (many with version dependencies) without having to muddy the waters of your system. You’re also free to add and remove virtual environments as you go. Put simply: Python virtual environments are a best practice for Python development. Chances are, you should jump on the bandwagon. My tools of choice are virtualenv and virtualenvwrapper but you could choose an alternative such as venv or Anaconda (conda for short). Create an environment with mkvirtualenv . Activate an environment (or switch to a different one) with workon . Deactivate an environment with deactivate . Remove an environment with rmvirtualenv . Be sure to read the docs! MacOS is similar to Ubuntu for pip-installing OpenCV. Why? I actually recommend that you go to the Option B and use a virtual environment. In a matter of seconds, OpenCV is ready to go in your system’s site-packages. Just like managing packages is a breeze with pip…. …managing projects and their dependencies is a breeze with virtual environments. You should use Python virtual environments if you’re serious about computer vision development (or any development for that matter). I don’t care what system you use (be it virtualenv , venv , or conda /Anaconda), just learn to use one and stick with it. From there, you need to add the following lines to your ~/.bash_profile (notice that for macOS the file name is .bash_profile and for Ubuntu it is .bashrc . Save the file — if you are using nano the keyboard shortcuts are listed at the bottom of the window. mkvirtualenv : Make a new virtual environment. workon : Activate/switch to a virtual environment. Remember, you can have as many environments as you’d like. deactivate : Jumps out of a virtual environment and you’ll be working with your system. rmvirtualenv : Deletes a virtual environment. Earlier in this post I mentioned that one of the downsides of installing OpenCV is that you don’t have any control over the compile itself — the binaries are prebuilt for you, which while nice, also means you can’t include any additional optimizations. For the Raspberry Pi, we’re in luck. Dave Jones (creator of the picamera Python module) and Ben Nuttall of the Raspberry Pi community-run piwheels.org, a Python package repository providing ARM wheels (i.e., pre-compiled binaries packages) for the Raspberry Pi. Using PiWheels you’ll be able to pip install OpenCV in a matter of seconds (the same is true for other Python libraries that can take a long time to compile, including NumPy, SciPy, scikit-learn, etc.). So how do you instruct the pip command to use PiWheels? If you’re using Raspbian Stretch you’ll be pleased to know that the pip command will check PiWheels for a pre-compiled binary before it checks PyPI, enabling your Pi to save a bunch of CPU cycles (and you a bunch of install time). Furthermore, when Ben and Dave put together the OpenCV binary for PiWheels they asked me which instructions they should use — I recommended my optimized OpenCV install for the Raspberry Pi — which is exactly the instructions they followed! If you end up using pip to install OpenCV on your Raspberry Pi, rest assured, you’re using the optimized version. 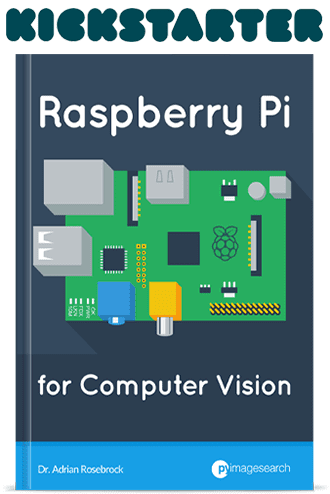 Let’s get started learning how to pip install OpenCV on our Raspberry Pi. I wouldn’t recommend this option if you want to be able to use different versions of OpenCV in isolated environments. But a lot of people deploy their Raspberry Pis for only one purpose/project and don’t need virtual environments. That being said, it is quite a mess to clean up if you change your mind later and want to use virtual environments, so I’d recommend skipping this option and following Option B. In a matter of seconds, OpenCV is ready to go in your Raspberry Pi’s site-packages along with any other packages you may have installed. Virtual environments are definitely the way to go if your Raspberry Pi has multiple purposes (or if you’re like me and test code compatibility among various software versions for blog posts all the time ?). Note: Notice that for the Raspberry Pi, we are editing ~/.profile …not ~/.bash_profile (macOS) or ~/.bashrc (Ubuntu). Terminal output will be printed indicating that virtualenvwrapper is ready. Be sure to inspect it for errors. That’s all there is to it to use PiWheels! Did you know that OpenCV’s 3.3+ has a DNN module which can run Deep Learning models? You might be surprised, but your version of OpenCV can do this out of the box now, with little to no additional software. We’re going to perform object detection in video with a MobileNet Single Shot Detector. The Raspberry Pi will show a different version of Python 3, which is expected. Now it’s time to download the code. Be sure to use the “Downloads” section of this blog post to download the source code + pre-trained MobileNet SSD neural network. I’m using a Macbook Pro. A framerate of 6 FPS is pretty good using a CPU on a laptop. Here I’ve created the illusion of fast 27 FPS on the Raspberry Pi while the neural network in the background is only capable of processing 0.9 FPS. It’s a little bit advanced, but if you read the original blog post (for the Raspberry Pi), you’ll understand the process. Plus, you’ll be able to impress your friends and family. To start, not all Python distributions will have a version of OpenCV that is pip-installable. Newer versions of Python and newer operating systems (and not to mention, older versions which have reached their end of life) may not have a version of OpenCV ready to go in the PyPI repository as the open source community has not had a chance to release such a version yet. Wait until the binaries for your combination of Python and OS are uploaded. Or what my recommendation would be — compile from source (Ubuntu, macOS, RPi). Secondly, some readers, including Anaconda users, have reported problems using GUI functions such as cv2.imshow and cv2.waitKey . In these scenarios OpenCV will error out saying that it was not compiled with GTK or QT support. You’ll be able to use all other OpenCV functions but you won’t be able to use any of the GUI functions, in particular the ones in the highgui module. The solution here is to compile from source (Ubuntu, macOS, RPi). Third, I know readers have reported issues when executing import cv2 in their terminals, Jupyter Notebooks, or Python shells — this isn’t an issue with the pip install of OpenCV. In most, but not all, situations, the error is not related to your actual install of OpenCV. The commands that were executed and how to utilize them properly. Thinking that a command executed correctly but instead resulted in an error. Failing to access your Python virtual environment (if you are using one). You’ll want to double-check your commands, repeat the steps, and examine your output closely before reporting an issue importing the cv2 bindings. Finally, the version of OpenCV that will get installed via pip does not include “non-free” algorithms such as SIFT, SURF, and other patented algorithms. If you don’t need to use patented algorithms, then you’re golden. Otherwise, I recommend that you compile OpenCV from source via one of my installation tutorials for your system. In today’s tutorial, you learned how to pip install OpenCV on your operating system. Specifically, we covered how to install OpenCV via pip on Ubuntu, macOS, and Raspberry Pi. While installing OpenCV via pip may be the easiest method to get you started, keep in mind that you may run into other issues. If you find yourself running into errors or problems using your pip install of OpenCV, be sure to refer to the “What to look out for when using pip to install OpenCV” section of this blog post. To be notified when future blog posts are published here on the PyImageSearch blog, be sure to enter your email address in the form below. This method with pip has come a long way — it is an easy way to get started with OpenCV and lowers the barrier to entry for many folks. Thanks for sharing Adrian! Will “pip install opencv-contrib-python==3.4.3” leverage the GPU or is it CPU only functionality??? If we want OpenCV to use the GPU, must we compile OpenCV from source??? It will likely only use your CPU. For any type of optimizations or GPU support I would highly encourage you to compile from source. Thank you Adrian. It’s possible install two version of OpenCv in two separated enviroment? I noticed these extra packages show up in the repository a few days ago and thought I was just mistaken… I’m so glad to see that they are real, and that they are from you. Thank you so much, congrats on your marriage, and take care! This is awesome news! About your honeymoon and openCV! Hopefully openCV 4 will be built soon after its release. I expect I will try it soon on a PiZero-W with Movidius. I know you recommended a minimal openCV installed for NCS but I have been using the NCS with OpenCV 3.4.2 compiled on Ubuntu 16.04 by building the NCS sdk with the old repo version of openCV, and then creating a python virtual environment and compiling ocv 3.4.2. I then got the ncs api to work by simply copying the mvnc python module to my virtual environment. It seems to work as I’ve pulled together several of your tutorials into a single python script that will use the ncs if one is plugged in and fall back to using the cpu only dnn module if no ncs devices are found or its running on Windows (limited testing so far). I can select using multiple onvif netcameras (my preferred solution now since round robin sampling of multiple cameras is trivial), the picamera module, or a USB webcam. For performance, pretty much need the ncs on a Pi, on an i7 cpu dnn module is significantly faster. On an i3 (windows) the Pi with ncs is about the same as the cpu only dnn. My speed conclusions could be in error if the pre-compiled windows openCV is using gpu acceleration with the opencv-contrib-python version. Hi Wally, thanks for sharing about your experience with Movidius. As far as the Pi Zero W, I haven’t tried to pip install OpenCV on it yet — I think it will work, but I’m not sure. On the Pi Zero W, I’ve only had luck with Raspbian Jesse. I couldn’t compile OpenCV on Stretch despite multiple attempts. I haven’t used Onif Netcameras — thanks for sharing about it. thanks for sharing Adrian ! Will save me much time to compile the source code, thank you Adrian. Sorry if I missed it, but I didn’t saw any comments as to what’s the difference between opencv-python and opencv-contrib-python. I’m looking forward to this pip based install, but I’m just having a feeling that something will not work as intended. Maybe when it will be officially accepted by opencv.org I will change my mind, but up till then I will just stick to the old fashioned way (unless I need to do it fast on some machine). I mean, I’ve done it so many times and on so many machines (mostly thanks to you and your tutorials of course) that I really feel very comfortable installing it from scratch. Anyway, all the best and cheers for the new tutorial! The difference is that opencv-contrib-python includes modules in the contrib repository as well. The contrib repository contains algorithms such as SIFT, SURF, and others. In the past, these implementations were included in the default installation; however, they were moved beginning with OpenCV 3+. Modules that are actively being developed and/or modules that are patented (not free for commercial/industry use) are included in the contrib module. For example, SIFT and SURF fall into this category. Thanks for this tutorial. It came really handy as I have spent lots of hours running into days trying to install OpenCV despite following your tutorial in some of your other article. QObject::moveToThread: Current thread (0x4ece310) is not the object's thread (0xc95b190). The same with imwrite. Other functions work fine. print (cv2.__version__) returns 3.4.3. I am using python 3.5 with virtualenvwrapper. I tried pip3 install opencv-contrib-python on a friend’s laptop (windows 10) and it worked! Just make sure you do it using virtualenv and virtualenvwrapperto be on the safe side. What do you mean by “to be on the safe side”? I am getting following error in my RaspberryPI. Hi Bajjee, see this blog post about resolving NoneType errors. I found a typo in line #74. Line 74 should be commented out and line 75 should be uncommented for RaspberryPI, once i did that, code worked as expected. Consider using the --user option or check the permissions” How can I resolve this permissions problem? The script is virtualenv installed in ‘/home/pi/.local/bin’ which is not on PATH. worked with sudo pip install …. i tried to compile Open CV on windows 10 using visual studio 2015, able to perform CMake steps but unable to compile project in Visual Studio. Any idea how to resolve ? Hi Prasanth, Adrian doesn’t cover Windows on PyImageSearch. Satya over at LearnOpenCV.com does: Install OpenCV 3 on Windows. b) your demo program assumes there is a video camera connected and working on the RPi. For self teaching, people may try first with already existing videos…. It’s a trivial point to many people here, but it took me a little while to diagnose. to point to an mp4 video-file everything worked fine. Great job resolving your issue. Adrian also has a blog post about resolving NoneType errors. after installing cv2 using this(downloaded by above link) command,no error is coming,but this line cap = cv2.VideoCapture(0) returns false. Make sure you have your webcam properly installed and working. What type of camera are you using? if I install it via pip on Rasberry Pi, will it included NEON optimizations? If I install it on my desktop machine, will it include OpenCL support? Hi i’m trying to “pip install opencv-contrib-python” in raspberry pi srtetch os. While installing i’m getting “Could not find a version that satisfies the requirement opencv-contrib-python (from versions: )No matching distribution found for opencv-contrib-python..” Please help me with the error. Hi Suresh, which hardware (Pi 3B, Pi 3B+, etc.) are you using? I solved this issue by Ben’s FAQ in github: adding the piwheels index to /etc/pip.conf. as i’m guessing piwheels is by default missing inside stretch lite. This was exactly the solution. Hi, I experienced the same behaviour on my RPi 3B+ with latest Raspbian Stretch Lite – any suggestions? even if you already have pip installed that should get it up to date. Hi! Adrian, in the first place i have installed opencv 3.4.1 with all features like “Gstreamer” already and after to update with “pip install” comand to opencv 3.4.3 all thats features was disable…. you know how to set this settings again like “-with Gstreamer=ON” or something? I’m having exactly the same error tha Suresh. Trying to install in Raspbian strech in 3B+ with Python 3.7. Which Raspberry Pi hardware are you using? Can you confirm your exact Raspbian Stretch version as well? I would suggest trying on a fresh install of Raspbian to see if that resolves the issue. I’m using latest version of Raspberry Pi 3B+ with latest version of Raspbian Stretch 9.4. with python 3.7. See my reply to Simeon. If you’re trying to customize the install you should compile and install OpenCV from source. the tutorial is not working for stretch lite which is popular for headless use of rpi3 b/b+. still need a lot walk-around. whether you can check also as it’s quite advanced topics for new comer. Stretch Lite doesn’t have a window manager which is why you don’t see any output images. You would need to install a window manager and/or install X11 and then SSH into your Pi with X11 forwarding enabled. This fixes the virtualenvwrapper.sh not being found in the .bash_profile. As usual a well written article and highly useful article. I see that virtualenv is being used. But python offers a virtual environment venv. Can one use this or should one stick to virtualenv? I personally prefer virtualenv and virtualenvwrapper together but it’s your personal preference. On the Raspberry PI I kept receiving errors when I would import cv2 in python3. Did not make any difference, headless or not, contrib or not, same thing. Thanks for sharing friend! it works for me. Hi Adrian. I’m getting an error saying no matching distribution found for opencv-contrib-python. Trying to installl it on the raspberry pi with Ubuntu LX OS. Does this mean I need to install from source? Yes, if there is no matching distribution then there are no pre-compiled versions of OpenCV you can install via pip. You would need to compile OpenCV from source. Be sure to refer to my OpenCV install tutorials to help you get started. I’m trying to “pip install opencv-contrib-python” on a RASPBERRY PI ZERO W (RASPBIAN STRETCH WITH DESKTOP). It unfortunately means there are no pre-compiled versions available for your Raspberry Pi Zero. You will need to compile and install OpenCV from source. I tried the tutorial but had a problem in the first go. I was not able to install pip. This installed pip for me. But I realized that the pip was installed for python3 and not for python 2. That means I had to use pip3 instead of pip to install opencv. But when I use pip3 instead of pip then the installation runs fine. I do not know if it should be a problem with the opencv installed from piwheels, or if it is something in the code that needs to be changed, and if not, could anyone help me install version 3.3+ in the RPi Zero from the source ? Can you insert a few “print” statements to debug exactly which line is causing execution to stop? I’m willing to bet it’s “imutils.resize”. For some reason the Pi Zero doesn’t like the inter flag set to cv2.INTER_AREA. If you change it to cv2.INTER_LINEAR it should work. The pip install went smooth, but I cant find the data folder containing the haarcascade clasifier and other stuff. Any idead as to where it would be on the raspbian pixel? The pip install of OpenCV is a pre-compiled binary. It does not contain the additional directories from a clone of the GitHub repo. 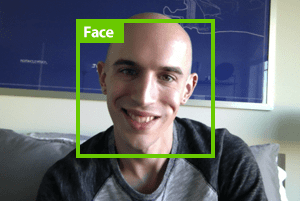 You can find what you’re looking for in OpenCV’s GitHub. I will testit out tonight. Thanks for all of the work you list on the site and good luck with the sale. Virtual wrapper is also missing a distribution. Worthless advice here. Method doesn’t work. My robot Raspberry Pi brain has all of its code written in Python 2.7 and it would be a major task to rewrite in Python 3. Does this pip installation work for 2.7? If so I would be grateful for pointers as to what to change. All steps should be the same. Is there a way to select picam? it seems that the default settings use a USB cam? I would instead suggest you use my VideoStream class which works with both USB cameras and the Raspberry Pi camera module. i want to know why i always install the opencv in the python2 not in the python3, thanking you! Are you using Python virtual environments? Which version of Python are you trying to install OpenCV for? I am new with OpenCV and I am using Win 10. How I can install opencv-contrib-python and continue with Opencv course. Hi Adrian! I just wanna ask you if there is any difference with “make -j4” and “pip install opencv-contrib-python” because I installed it first with make -j4 and it cause and error while with pip it works perfectly. Is it going to be fine? Keep in mind that the opencv-contrib-python module is NOT the same as compiling and installing from scratch. If you install via pip you will not have the NONFREE modules from the contrib package (such as SIFT and SURF). If you run into any errors related to the NONFREE modules when executing your code you will know it’s because of the pip install (and then you’ll need to compile OpenCV from source). Congrats on getting OpenCV installed, Hasan! and the compilations stops with a fatal error that there is no space. Just to clarify, are you compiling OpenCV from source? Or are you installing OpenCV via pip? Installing OpenCV via pip shouldn’t use up much disk space so I get the impression that you’re compiling from source — but you’re commenting on a pip install post. Could you clarify? can not we install it on window? You can install OpenCV Windows but I do not officially support Windows here on the PyImageSearch blog. If you are interested in computer vision and OpenCV I highly suggest you use a Unix-based OS such as Ubuntu or macOS. Hey, I have installed opencv2 on my windows (in cmd when I go to python and import cv2, there is no error), but how in my project doesn’t know it? I have to install it by “pip install opencv-python”. I can not install it globally? Are you using Python virtual environments? If so, I advise installing OpenCV into the virtual env (not globally). Thanks for a super useful resource Adrian! I’m trying to understand why images are being resized to 300 x 300 in pi_object_detection.py. I was under the impression that MobileNet expects images of 224 x224? What am I missing? Also, would it not be more performant to set image width and height on the original video stream, rather than resizing each frame for the detection process? Actually, the MobileNet SSD trained on the COCO dataset accepts 300×300 inputs, not 224×224 ones. You could also set the dimensions via the video stream as well. install of opencv-contrib-python with pip on RPi 3B+ did not work. Where was that library supposed to come from? Thanks. OK. So had to apt-get install libatlas3-base and then libjasper1. So having worked through this process I can now run the demo on the RPi 3B+ but my output does not look like what Adrian posted above. My frame is larger vertically than the image and if I run my mouse over the top of the image the image coordinate and the RGB value are displayed at the bottom of the frame about a third truncated. Then there is also a dead space between the top of the image and the bottom of the title bar. If I click in that dead space it zooms in and displays the RGB value on every pixel. This action is inconsistent with what cv2.imshow() has done on other platforms. Anybody have an idea what entity has added all this (unwanted) extra functionality? How do you get rid of it? This seems like a GUI-related issue with the pre-built OpenCV binary. What version of OpenCV was installed?